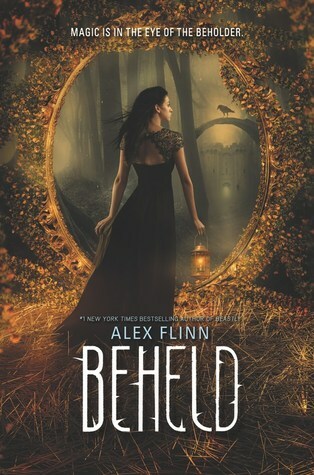 I love fairy tale retellings, so I’ve read all of Alex Flinn’s books since Beastly. 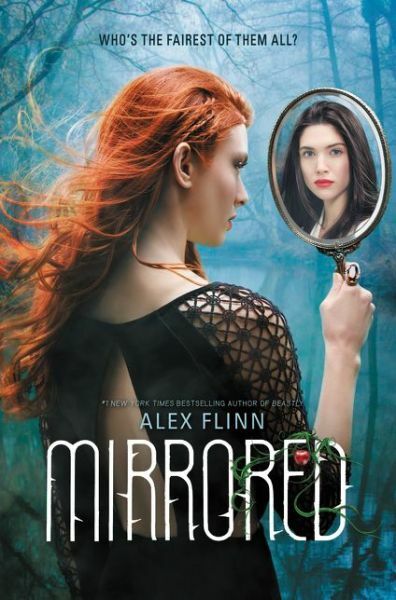 I couldn’t wait to get my hands on Mirrored, a retelling of Snow White and the Seven Dwarfs, and it didn’t disappoint. THE PLOT: Poor 10-year-old Violet Appel is so homely that her beautiful, single-parent mother ignores her. She is bullied by her schoolmates, and her only friend is Greg, a shy boy who shares her love of birds. He doesn’t realize it, but he’s there when Violet discovers she’s a witch, including powers like bringing dead birds back to life. For three years the young people are best friends…until Greg goes away to summer camp for a few weeks, hits puberty, comes back a hottie and a jerk, and ditches Violet. See, the girl he’s always had a crush on, Jennifer, has noticed him. The only thing is, Jennifer is Violet’s worst bully. She won’t have anything to do with Greg if he continues to be friends with Violet. Violet is now completely alone and bullied worse than ever, to the point of being beaten by two boys. But her powers flare into full being, and she’s befriended by an ancient witch named Kendra (who Flinn fans should know well). Kendra teaches Violet how to use her powers, but Violet only has one agenda: to make herself beautiful and win Greg back from Jennifer. As a teenager, Violet is the hottest girl in school. She’s used witchcraft to gradually give herself perfect features and a model’s body. Despite all this, she’s still bullied, and Greg only has eyes for Jennifer. As Violet realizes the no one, especially Greg, will ever love her, her powers become more twisted. Fast forward to Greg and Jennifer’s daughter, Celine. Celine is beautiful, the best of both of her parents. She’s a bit of a loner, though, because she lost her mother in a tragic “accident.” But her father’s old friend Violet was there to pick up the pieces, marry Greg, and become Celine’s stepmother. The family lived happily until Greg pointed out how beautiful, kind, and talented Celine is…like her mother. From that point, Violet becomes Celine’s enemy. When tragedy occurs, Violet becomes completely unhinged, and Kendra urges Celine to take refuge with her friend Goose and his family. MY TWO CENTS: This is a great book for teens to think about. Bullying is NEVER an acceptable act. Ditching friends who love you because you found “better ones” is seriously cruel. And sometimes, your hero isn’t a prince or a rock star, but a person of small stature with a giant capacity to love. The book is divided into three parts, written in first person with three points of view: young Violet narrates part one, Celine takes part two, and Goose gets part three. It’s great to get inside each character’s head because, since you know them so well, you root for all of them. Can I say how much I love Goose? Obviously, Flinn has somewhat based his character on Tyrion Lannister; easily the most intelligent character in the Song of Ice and Fire series; fantastically played on Game of Thrones by the fabulous Peter Dinklage. (There are several references to Tyrion in the book; he’s Goose’s hero.) Tyrion is my favorite character, and a lot of other people’s too. It makes sense to base a YA hero on him and remind everyone that people of small stature can be brave, intelligent, and loving. Goose is a believable romantic lead. You WANT Celine to end up with him. What a great message for teens, especially in opposition to Violet’s belief that only being beautiful will get her what she wants. BOTTOM LINE: After being disappointed with the “Rapunzel” story Towering, I’m blown away by Mirrored. I may like it more than Beastly, although I’m not sure. I’ve already reread it, and with my reading schedule, that’s a testament in itself. TEACUP RATING: Five out of five teacups. LOVED IT. ON SALE DATE: Available September 15, 2015, in hardcover and eformats.